There’s a cancer growing in the game of blackjack, namely, those abominable blackjack games that only pay 6:5 for a blackjack. If players don’t do something about it, 6:5 payoff games may become the new blackjack standard. However, you can help get rid of this game once and for all, and I’ll show you how in a moment. Historically a blackjack hand has always paid 3:2. That means if you bet $10, you will be paid $15 (a 3:2 payoff). (This assumes, of course, that the dealer doesn’t have a blackjack on the same hand.) When a casino decides to pay only 6:5 for a player blackjack, it increases the house edge by almost 1.4 percent (no, that’s not a typo). Instead of talking percentages, let’s talk dollars and cents so you can really see how much a 6:5 game costs you. Suppose you play two hours of blackjack at $10 a pop and you are dealt an average of 80 hands per hour. 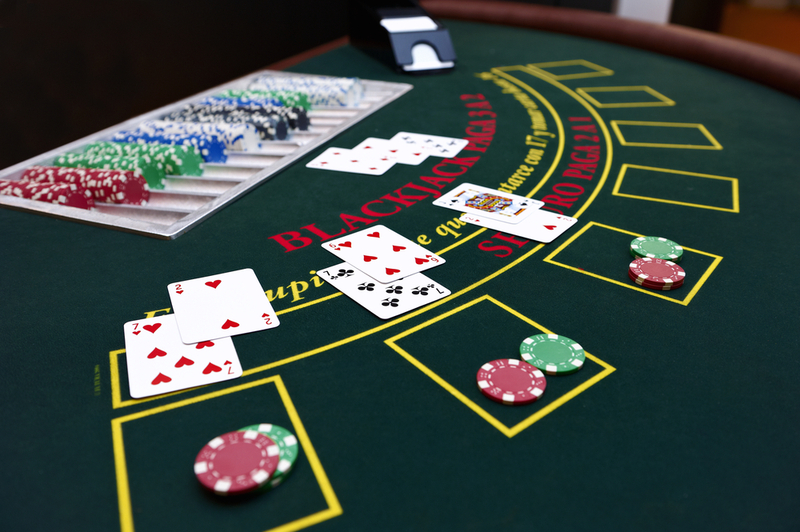 A blackjack occurs about once in every 21 hands, so on average you should expect to get four blackjacks per hour, or a total of eight in two hours. Each of those blackjacks should earn you $15 (with a 3:2 payout on a $10 wager), but instead you get paid only $12 in the 6:5 game. You are shortchanged $3 on every blackjack, so in the course of two hours of play, you have been shortchanged $24. That is an atrocity. Casinos also love the 6:5 game because it virtually eliminates those pesky card counters, since many find the house edge too tough to beat with card counting. And get this, many casino bosses have implemented the 6:5 payoff in double-, six- and even eight-deck games (no, I’m not joking). This would increase the house edge, on some games, up to an appalling 2%! The 6:5 games also have these additional pitfalls, which most players are not aware of:1. If you wager an amount that is not divisible by 5, your payoff for a blackjack actually gets worse. For example, if you bet $8 and get a blackjack, you’ll get paid only $9, which is equivalent to the payoff odds of 5.625:5 rather than 6:5 (casinos will pay 6:5 on the first $5 of your wager, and even money for the remaining $3). When the game was first offered, I had bet a red ($5) and pink ($2.50) chip on a hand and luckily I was dealt a blackjack. At 6:5 payoff odds, a $7.50 wager should pay an even $9, but the dealer paid me only $8.50. I tried to politely explain to the dealer and then to the shift boss that 6:5 on $5 is $6, and 6:5 on $2.50 is $3 therefore I should be paid a total of $9. My plea fell on deaf ears.2. In a 3:2 game, a player can take even money if he is dealt a blackjack and the dealer shows an ace. But the math doesn’t work in the casino’s favor on a 6:5 game, so they won’t allow players to take even money.3. The game is mostly offered on low-limit tables in tourist locations where blackjack players tend to be less sophisticated about the game (“milk the tourists” mentality). Knowledgeable players with limited bankrolls are also faced with this dilemma: either play the 6:5 game with lower betting limits, or play the better 3:2 multiple-deck games, but with higher betting limits. If they opt for the latter, they often get less play time because they tap out sooner as a result of overbetting in relation to their modest bankroll. Either way, they get screwed. The bottom line is that unless players do something about it, the 6:5 game will ultimately ruin blackjack. So what can you do to help? 1. Don’t play any 6:5 blackjack games; instead play only on tables that pay 3:2 for a blackjack. 2. Voice your displeasure about the game to a casino supervisor, your casino host and even the casino manager. Be sure to also tell them you are taking your business to casinos that don’t offer this wretched game.3. Warn your friends and family that are planning to visit a casino, about this outrageous game. It’s clear that in their attempt to make more money, casinos are ruining one of the best games for players. Don’t let this happen. Just say NO to 6:5 blackjack games!